Hi, Good Morning, Thank you, friends and viewers. 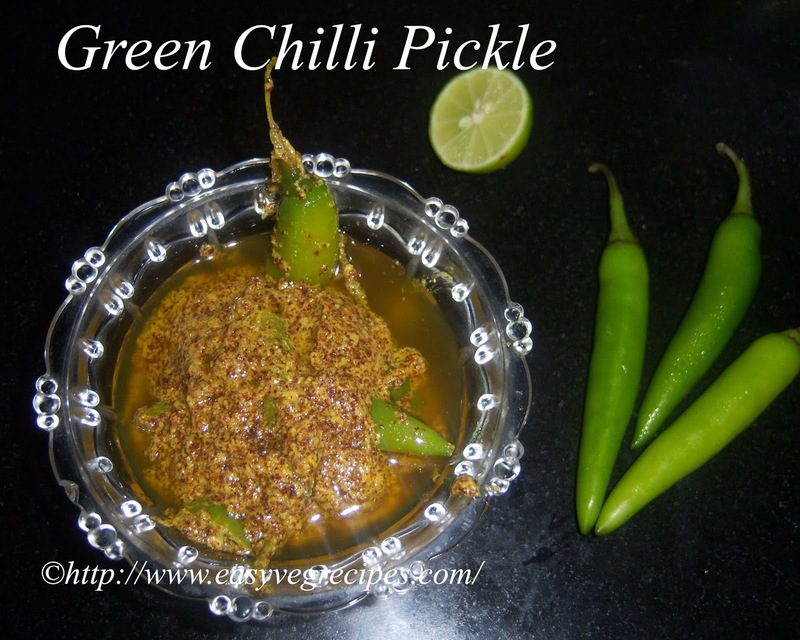 Today I will post green chilli pickle recipe. Green chilli pickle is my maternal grandma's speciality. Normally, it is served as the side dish along with plain dal. It is normally made with fat and thick green chillies. They are also used in making curd chillies. It is very easy to make and takes less time. It needs fewer ingredients. We make different varities of pickles with available vegetables. Among them are Dosavakaya(Pickle with Yellow Cucumber), Tomato Avakaya(pickle with Tomatoes), Mango Pickle(avakaya) etc. 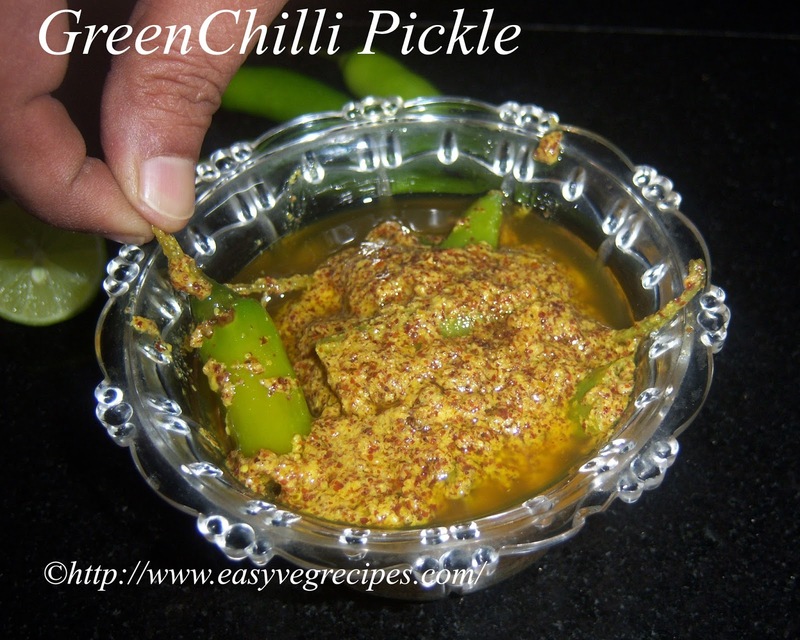 Green Chilli Pickle -- Made with thick chillies, served with hot rice. Wash green chillies and cut them into two halves. Heat oil in a kadai, add chillies to it. Fry them for two seconds. Slowly pour water into the chillies. Let them boil for a while. Swith off the flame, transfer them into another vessel. Allow this to cool a bit. Add salt and mustard powder. Add lemon juice of two lemons. Mix well. Check salt and sourness. Adjust if needed. Tranfer it into a dry and air tight contaier. This can be stored for a fortnight. Serve green chilli pickle with plain dal and hot piping rice. For more health drinks click here.Thank you for visiting my blog. Hope you liked all my recipes. Any feedback and comments are appreciated.